Series? Yes, 1 of 3. I received this book from Harper Voyager Australia in exchange for an honest review. I.e. DO. NOT. WANT. However, I found that the book was surprisingly engaging and accessible despite its deep rooted background in theoretical physics. Here’s why! Ye’s story is the driving force of this book, watching her father’s execution for the crime of intelligence and progress has changed her fundamentally. Her narratively examines humanity and the price we pay for scientific progress, it questions whether it’s all worth it. Next to Ye, Wang is a slightly duller protagonist. Through his eyes we are able to slowly uncover the rest of Ye’s story, as well as immerse in the titular Three-Body Problem. Unfortunately, Wang is a bit of a blank slate, however, I did enjoy slowly seeing how he i) goes through the Three Body Game – I found myself cheering for him whenever he advanced in the game and ii) his story (and really, the story of the larger world) connects to Ye’s narrative. In addition to the fun I had piecing together the whole storyline from the interchanging narrative, I also really enjoyed the virtual reality world: 3body.net – that Wang entered. The game’s objective is to save a civilisation on a planet governed by the gravitational pull of three separate gravitational entity, resulting in very turbulent landscape where apocalypses are dime-a-dozen. The civilisation goes through hundreds literally hundreds of cycles, always to meet crushing demise in the end. The Three Body world was also delightfully trippy. We had cameos ranging from Isaac Newton, to the first Emperor of China, in ways that completely defies logic and geography. I found the collection of all these figures and how the fuss over the Three Body Problem highly amusing, they were the best part in this book! Also, you know the book’s got me good every time I fist bump whenever Wang advances to the next level in the Three Body Game! Propriety in public spaces be damned! Along with being a puzzle falling into place, this book also made me curious about theoretical physics, something my university lectures never managed to achieve. I went off to watch a couple of YouTube videos while reading this book, and I feel appropriately proud of myself *chest puffs up*. The last time this happened was after I watched The Theory Of Everything XD! Yay for entertainment that makes you smarter! This is a short point but I have to put it in here. As someone who’s dabbled in a little bit of research in my University days, I completely understand where the scientists in this book are coming from! Modern science requires almost religious faith. Anyone who’s ever done research will understand the frustration of seeing those random data, and the pains of trying to make sense of them. Gah! Thinking back on those dark days toiling in a University research lab makes me want to pull out my hair. 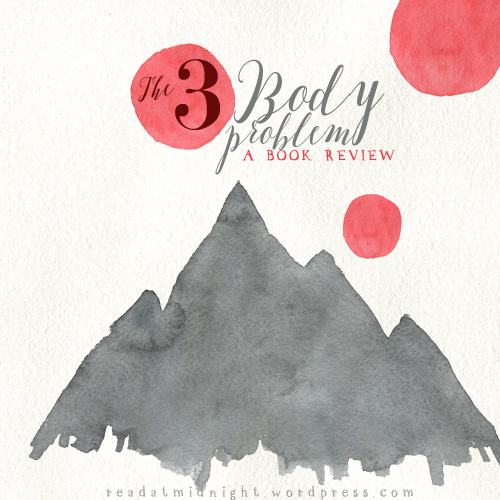 The Three Body Problem addresses that, and delves into it even more – in a terrifying but relatable way. I am so excited this book seem to be doing fantastically, because I want to believe it’ll open doors for other books to be translated and thrown into my eagerly awaiting paws. I have a list of C-fantasy I would love to see translated into English! Being able to see science fiction that’s grounded in another country and through slightly different eyes is bloody fascinating, I also adored Ken Liu’s translation. Kudos to him for being able to translate such a jargon-heavy book while still keeping the flowing, memorable proses. The sequel is due out this month, and the Chinese blogosphere seems to be unanimous on saying that the second book blows the first out of the water. At the ending of this book, the plotline is on the verge of something HUGE, needless to say, I am fairly excited! 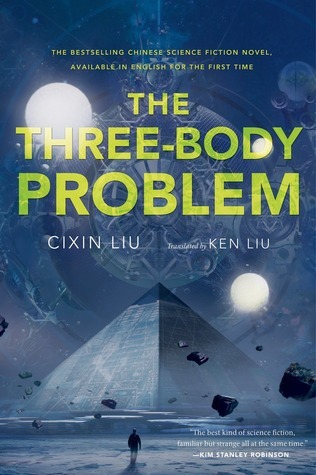 Overall, The Three Body Problem was completely unique, with the power to make you question your current reality. I recommend it to everyone who’s looking for a fresh take on scifi! Don’t be scared off my the maths and the physics, I am possibly the least qualified person in the world out there, and I still thoroughly enjoyed it! OMG THIS SOUNDS SO FANTASTIC. I’m not a huge fan of maths or physics but I LOVE IT in fiction and also TOUGH SCIENTIFIC RESEARCH and also CHINA DID I MENTION CHINA. I should really read the original but it’ll probably take me twenty years so perhaps I shall read the English instead. I actually kept thinking of you (and CW) and how much you’d enjoy this book when I was reading this, Alyssa! It’s got physics in the spades, and has loads of sociopolitical commentary on China, especially during the Cultural Revolution period. I barely understood some of the physics explanation in English, so I might advise against reading it in Chinese haha. Thank you! If you enjoy scifi at all, this is a great read. It’s so unique because of it’s foundation in China’s political climate rather than the usual Western one that we get. Loving the sound of this! I would definitely recommend it. Admittedly there are some physics concept I still do not understand, most of the book is so fun and unique! Woot! I’m definitely adding this! I hate math and physics too, but I love reading about them in fiction. Great review! How cool! This is very exciting. I love seeing works of literature from other countries get a chance to shine on English territory. What a fascinating premise of a story! Thanks for the great review Aentee! As always, another book to add to my TBR. I’d really like to check this one out. My parents (who live in Shanghai) actually bought the trilogy in its original Chinese for me, even though my Chinese is super rusty and I doubt I’d be able to make it through at my current reading level. It’s definitely unique, and the book hits its stride towards the latter half so I’m excited to check out the rest of the series. Though, the technical jargon is heavy in this one, so I highly recommend an English copy if you aren’t confident in your Chinese haha (tbh, I could barely understand some of it in English haha). I also crapped my pants at several points in the book when they began talking about unfolding protons in 2D BUT the rest of the book is very accessible and entertaining haha. It’s also the bestselling scifi in China – and certainly not all of them are hardened physicists – so I think I’m in the majority! If you are into diverse SFF this is definitely the book to pick up! Because it’s written for a Chinese audience originally, the political climate and social commentary it makes are very specific to them – so interesting! Can’t wait to hear what you thought of it Carolyn! PS YAY, I get so much flak here for being an Asian that can’t do maths lmao, THERE ARE LOADS OF US, THOUGH. Preach it Aentee! 🙂 Haha I almost wish I was good at math just because I feel like math is so applicable to everything you know? Wow, I definitely wouldn’t have wanted to pick up this book before hearing how good it is. I don’t necessarily hate math, but I do try to stay away from it in my fiction reading. Thanks! I hope you enjoy it, there is quite a bit of physics and maths in there, but it’s definitely not essential you understand all of it, I certainly didn’t haha. Great review! This book sounds really worth picking up! I have never heard of it before. I love sci-fi and I need to reach for it more. Thanks for the recommendation! You did a great job on your review! Thank you so much Theresa, I hope you enjoy it if you get a chance to read it! I loved this book. I’m really excited to read the sequel, too, since the first one kept me so engaged! Everyone on the Chinese blogosphere appears to be raving about the sequels, so I am very excited! I wonder if the story will go to cover the next 400+ years? Can’t wait! This book sounds so interesting!! And I don’t think I’ve ever read any translated sci-fi, so this is going on my wishlist! I LOVE YOU! I’LL BE READING THIS!! YAY! ❤ Fingers crossed you love it!! Woah for this one to be a Chinese Sci-fi translated into English and based on science and everything, it sounds pretty darn intense and also really fantastical! Love the review Aentee! Yes, and it seems to have very broad appeal as well! A couple of my boyfriend’s workmates really loved it, too! And they are people who don’t read often haha. *Bumps book up the list. * Good stories always make physics more appealing to me too. I laughed when I saw the equation at the top (backs away slowly) but I love how this concept has been woven into the novel. It also makes me smile to know that bloggers all over the world have their discussions about books – and that those discussions expand when stories are translated. *I also need to read Ken Liu new epic fantasy book because I enjoyed his SFF short stories. Translated books are amazing, I love that ideas can transcend language barriers and cultural backgrounds and be beloved by so many! I need to look into Ken Liu’s The Grace of Kings! Though the size kind of terrifies me a little haha. OMG!! This book sounds amazing! Love that it’s diverse and it’s so cool that this was the first Chinese Sci-Fi translated into English. Lovely review! I recommend it based on awesome diversity points alone! Thanks, Inah! I know! Thinking of all those works that will never be translated, makes me writhes a little in pain haha. I love Chinese fantasy so much, luckily I can read Vietnamese and all the popular ones are translated for the Viet population haha. I saw this in Dymocks Melbourne CBD a while back so it’s definitely widespread 😀 I got someone interested in maths??? I never thought I would see the day ahhaha!! Yes the diversity is strong in this book. Lots of cultural references specific to China 😀 I hope you like it!